How Cloud Computing Service Benefits Your Business? Lately, you might have come across many cloud computing service companies who claim to offer cloud computing services for business. In fact, this novel technology is the trend and many companies are adopting it. Cloud computing service benefits are enormous. Ever wondered what is cloud computing, this article will throw some light. Cloud computing is providing computing services—IaaS, PaaS, and SaaS—through the Internet (Cloud). Companies that offer cloud computing services are called cloud providers. These companies offer cloud services for a price of sometimes but with limitations. 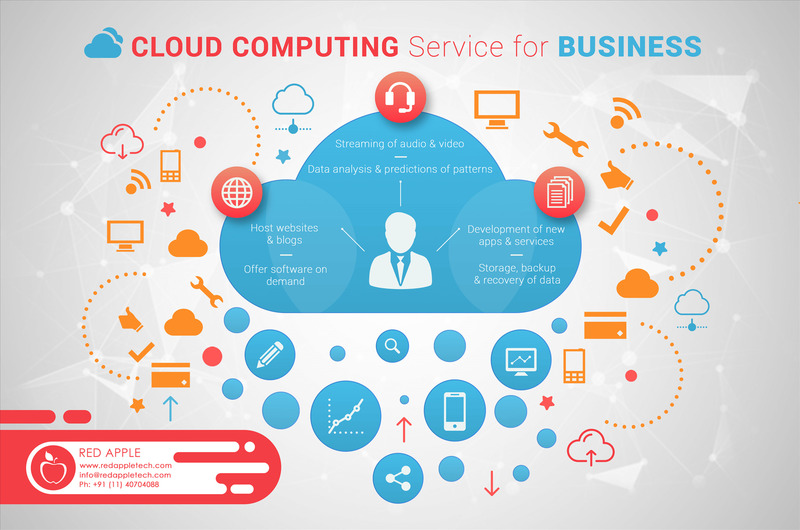 Cloud computing service has transformed the technological landscape. There is no doubt that this technology introduced significant benefits. Cost: One of the most significant benefits includes elimination of expenses incurred in setting up a datacentre which involves buying expensive hardware and software. Moreover, maintenance of such datacentres may become expensive and daunting. Speed: This is one of the most useful cloud computing service benefits. Cloud computing can be handled by the user without any intervention or it can be used on demand. This direct interaction allows the users to perform huge computing operations in minutes. Global access: As Internet is omnipresent so is cloud computing services. You can access your data or perform major tasks from anywhere in the world, provided you have necessary services that connects you to you cloud space. Scalability:Cloud computing can be configured in such a way that you get just the right amount of resources. For example, your cloud storage can be scaled-up (expand) or scale-down (reduced) as per your computing needs. Reliability:Clouds computing provides a more robust data backup and disaster recovery options. This is possible due to data mirroring activities which stores your backup at multiple sites. Performance and productivity: It is evident that with low to no downtime, global access, and secured data backup, performance productivity will increase. Also Read: How Blockchain Will Change the Consumer Goods Supply? Web based clod computing services where users are provided with functionalities of web services. They don’t need to develop a complete application for their needs. Infrastructure as a Service (IaaS): Organisations can use unlimited storage from cloud infrastructure. This storage can be expanded or shrunk based on requirement. 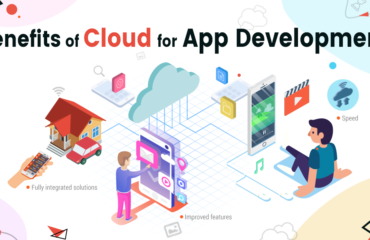 Software as a Service: This allows organizations to access use applications which are deployed from a cloud, without worrying about storage. Platform as a Service: This allows services to run their applications on a cloud platform without being bothered about maintenance or delivery. Utility service: This allows companies to store huge data on cloud and access them remotely as needed. Managed service: These are additional services provided by cloud computing services providers to protect your information from spam. Service commerce: This involves creating a hub of the applications, which can be used by members of an organization. Organizations can use three types of cloud services which includes Public cloud, Private cloud and Hybrid cloud. Public cloud: This is a service which is built and handled by an external cloud services provider. This is an off-site service which provides the organization to have their own cloud infrastructure which can be access from anywhere. Since, your data is stored at the provider’s site you need not worry about security. Private cloud: In this service, you get your own dedicated cloud infrastructure. The platform can be built in your office. This is ideal for organizations which needs exclusive access to data and wants to ensure privacy. Hybrid: Hybrid cloud provides functionality of both private and public cloud. In this type of cloud service, and organization IT team handles the cloud in- house with the benefits of off-site cloud computing. High availability is the ultimate state of any cloud computing platform; something that any organization would desire from its cloud provider. This is an idea which promises to offer anytime, anywhere access to data, tools, and other services. Cloud computing service availability can be called as the holy grails of cloud, wherein organizations may not have physical office yet their global presence will be strong. There are many companies that provide cloud computing services for business. The cost of the service would depend on your requirement. It is crucial to research well before you choose from cloud computing service companies.